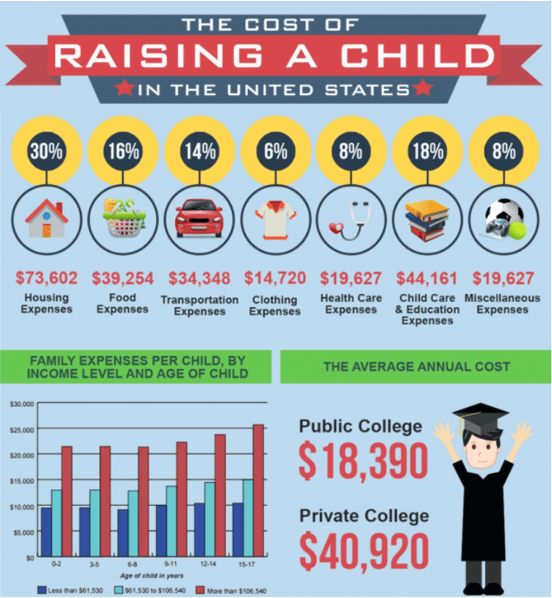 The average American is dining out more than ever before—from 2015 to 2016, the typical household spent about $3,000 each year in restaurants and bars. 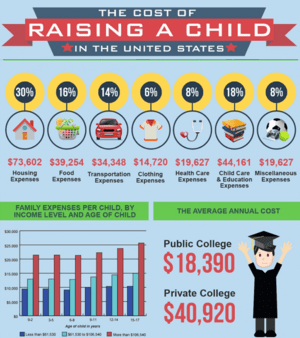 Millennials fit nicely into this category, as recent studies show that this age group spends about 44 percent of their income on delivery services and restaurant meals. Dining out is only rising in popularity—and while it might not be the best idea for your wallet, there’s no denying the simple pleasure that comes from relaxing on the couch and waiting for dinner to arrive at your front door. With an increased desire to let restaurants handle the cooking and food delivery, food ordering apps and food delivery apps are popping up left and right. One popular food delivery app is Grubhub, the online food delivery app that uses your location to find local restaurants that offer delivery and pickup options. What do Grubhub reviews say about the service? Is the Grubhub app worth downloading? Is the Grubhub app the best food delivery app? The Grubhub food delivery app sounds like a dream come true, but does it deliver on its promise to efficiently connect hungry diners with local restaurants? Would current users suggest this food delivery app to others? In our Grubhub review, we’ll cover all of these questions and more to help you determine whether the Grubhub app is the best food delivery app for your next night in. Grubhub Review | What is Grubhub? How Does Grubhub Work? 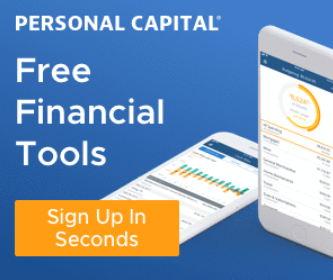 Founded in 2004, Grubhub is a national leader in mobile and online food delivery, allowing users to order takeout and delivery directly from local restaurants within their area. To date, the Grubhub app and website connects diners with over 55,000 restaurants in cities across the United States and London. Within the Grubhub family of brands are Seamless, AllMenus, and MenuPages, though Grubhub is the best-known food delivery app and source for online food delivery. The Grubhub food delivery app is incredibly popular—in 2016 alone, Grubhub facilitated approximately $3 billion in sales to local restaurants, and receives over 324,000 orders each day. Users can choose to order on the Grubhub app or the website. Both options are free, and best of all, both allow for users to arrange for online food delivery either electronically or over the phone. Ordering online food delivery through Grubhub starts by simply entering in your address. From there, the food delivery app will show you a list of restaurants that deliver to your area, including a list of nearby restaurants that offer pickup. Grubhub delivery also lets users apply filters to find exactly what they are looking for. For example, searching for online food delivery can be narrowed down to a specific restaurant, city, cuisine, or dish. While there are no Grubhub food delivery fees, the Grubhub ordering system will let you know if a restaurant has an order minimum or a delivery fee for their services. Users can also see how far away the restaurant is, and the average preparation time for orders, making it one of the most convenient food ordering apps on the market. Payments are processed using PayPal, Android Pay, Apple Pay, or credit card. Additionally, our Grubhub review found that users can use Grubhub to leave reviews for restaurants, making it easy for new users to decide which restaurant is better. Grubhub delivery services are made by official Grubhub drivers in cities across the country, meaning that the availability of online food delivery through Grubhub will largely depend on whether your city has Grubhub drivers. A great way to determine whether Grubhub is the best food delivery app is to look at what actual users are saying in their own Grubhub reviews. In this section, we’ll look at Grubhub reviews from two of the most popular consumer review sites: SiteJabber and TrustPilot. There are over 1,000 Grubhub reviews on SiteJabber, giving the online food delivery service a total score of 1 star out of 5. Unfortunately, the majority of Grubhub reviews on SiteJabber describe complaints and issues with the food delivery app. Over 900 Grubhub reviewers gave their experience a 1-star rating, the lowest possible score. Late food, missing items, cold as ice. The restaurant didn’t even receive my full order. Driver wanted to know what my problem was, because I wasn’t charged for the missing parts. But I was charged for the tip which they didn’t deserve! Tips are for good service and theirs is the worst.!!! Couldn’t even find a way to complain. Instead they kept trying to get me to work for them. Will never use them again. DON’T FALL FOR THEIR SCAM TO STEAL YOUR MONEY!!!!!! Food that never arrives, customer service that runs you in circles without ever addressing your problems, and the best they are willing to offer in compensation is an apology. If I could give zero stars you can bet that I would. One point that our Grubhub review would like to note is that it is unclear as to whether issues with timing and missing orders stem from the chosen restaurant, or the food delivery app. It may be possible that some restaurants are more in-tune with the Grubhub ordering system than others—but there are enough negative Grubhub reviews to assume that it is a possibility when ordering online food delivery. There are over 1,500 Grubhub reviews on TrustPilot, giving the food delivery app a total rating of 4 stars out of 5. Many positive Grubhub reviews applaud Grubhub as being the best food delivery app for convenience, customer service, and the ability to find great local restaurants in an instant. I’ve had nothing but positive results and the list of restaurants continues to grow. This saves me time when it comes to thinking about lunch as I am constantly busy. I go online, find a spot or a place which has food that I may crave. Thankful that this GrubHub is available. Part of determining whether Grubhub is the best food delivery app comes from seeing how the Grubhub app performs. In this section, we’ll take a brief look at Grubhub reviews from Android and iOS users to help you decide if using the food delivery app is worth it. 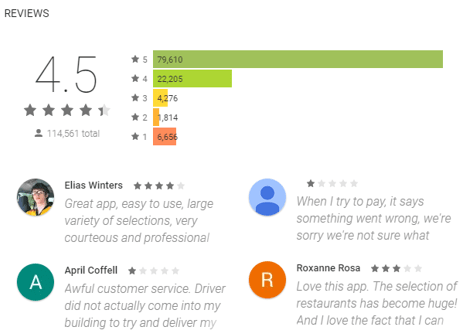 There are over 114,000 Grubhub reviews on Google Play, giving the food delivery app an overall rating of 4.5 out of 5. An overwhelming majority of Grubhub reviewers gave their experience with the online food delivery service a full 5-star rating, as demonstrated in the below image. 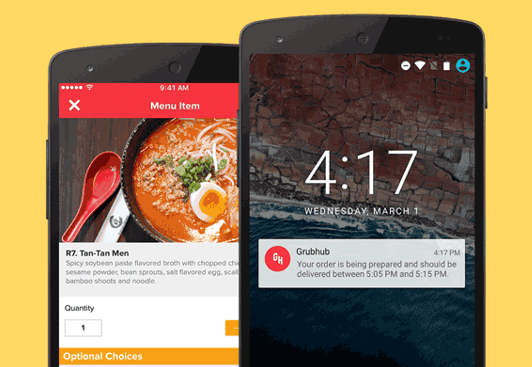 Overall, Grubhub reviews from Android users are positive, praising the Grubhub app for its ease of use and wide variety of restaurants and filters to choose from. Great app, easy to use, large variety of selections, very courteous and professional staff and drivers. The only issue I have ever had in my 3+ years of using this app is that my order wasn’t assigned to a driver Once, but they did reverse the charge on my card and gave me a promo code for 50% off my next meal. I highly recommend this app to anybody looking for a quick easy way to order food for delivery. Although many Grubhub reviews are positive, our own Grubhub review did find a few instances where users complained of slow loading times and difficulties with the app updating, which should be taken into consideration before downloading the food delivery app. There are nearly 37,000 Grubhub reviews on iTunes, giving the online food delivery app a total rating of 4+. 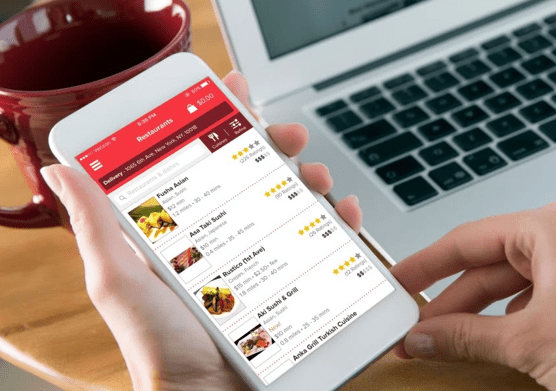 As with Grubhub reviews from Android users, reviews from iOS users are largely positive, applauding the Grubhub app for its convenience, easy payment process, and the ability to customize orders. I use this app ALL the time to order food. Super, super easy to customize your order, reorder previous orders, paying is easy and right on the app so the delivery process is the easiest ever. It is pretty cool that (if the delivering restaurant updates it) you can watch the progress of your order in real time). I also love that you can leave thorough delivery instructions right there at check out…This is by far my favorite food delivery app. And the app has updates pretty frequently too. One point that our Grubhub review should mention is that a few iOS users did complain about the inconsistency of delivery fees from one restaurant to the next. Although this is not necessarily something that the Grubhub app can control, it’s worth considering before using the online food delivery service. Conclusion: Is Grubhub the Best Food Delivery App for You? Ordering online food delivery through Grubhub offers a unique—and entirely convenient—way to find new restaurants and eat from the comfort of your own home. Should you consider using the Grubhub food delivery app for your next at-home dining experience? Based on Grubhub reviews from users, it seems as though the food delivery app is worth a try. Although there are certainly negative Grubhub reviews, the majority of users praise Grubhub as the best food delivery app for convenience and restaurant availability. The next time you’re stuck on what to order for dinner, take a few minutes and browse through the Grubhub delivery app—you might find that online food delivery is your new favorite way to order.